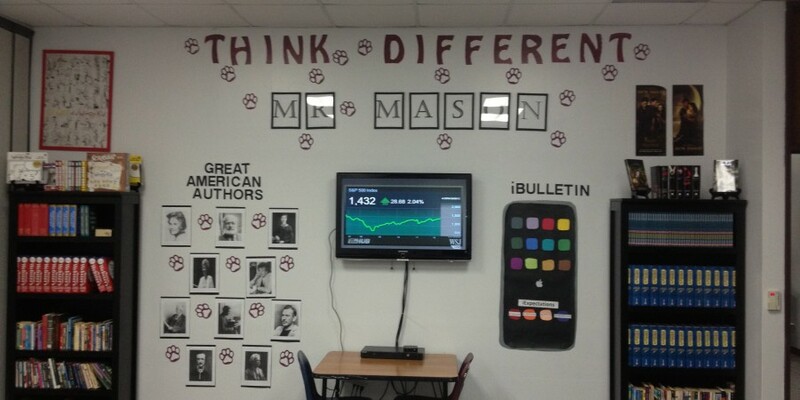 I use telenology to encourage engagement and motivation in my classroom. Because I have a background at Apple Inc., I used an old Apple campaign as inspiration for continued creative thinking throughout the school year. I have an Apple TV hooked up to a HD television I brought in and mounted to the wall that always displays something relevant to the curriculum.